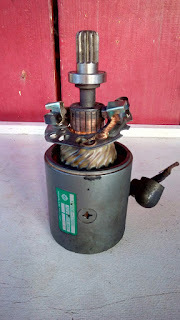 What is left of the brush assembly of the starter motor. There were originally 4 brush assemblies. Two were totally destroyed, the remaining two are ripped off the mount.